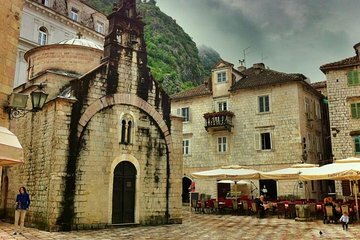 After your cruise ship arrives in Kotor, explore this medieval town on a walking tour rather than sightseeing independently and perhaps missing key sights. Meet your guide at the port and stroll the short way to the UNESCO-protected Old Town as you hear its history. Then, roam the flagstoned lanes, 12th-century cathedral, and Maritime Museum while your guide chronicles their past and treasures. Museum and cathedral admission are included.